Questions of the application and interpretation of the ne bis in idem principle in EU law continue to surface in the case law of different European courts. The primary purpose of this book is to provide guidance and to address important issues in connection with the ne bis in idem principle in EU law. 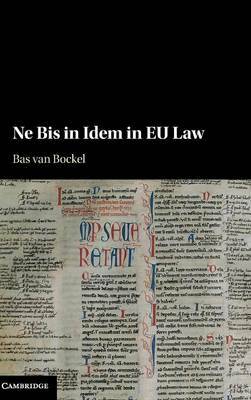 The development of the ne bis in idem principle in the EU legal order illustrates the difficulty of reconciling pluralism with the need for doctrinal coherence, and highlights the tensions between the requirements of effectiveness and the protection of fundamental rights in EU law. The ne bis in idem principle is a 'litmus test' of fundamental rights protection in the EU. This book explores the principle, and the way the Court of Justice of the European Union has interpreted it, in the context of competition law and the areas of freedom, security and justice, human rights law and tax law.